Pill Pod™ Rx drug / MLB™ marijuana lock box is manufactured and distributed by 4Thought Products LLC located in Novato, CA USA and founded in 2011 by mechanical engineer Steve Small. The company is dedicated to the development of new and innovative products. The opportunities considered are not limited to any one category or industry. The definition of “forethought” relates to careful thought and planning that prepares one well for some future event. This idea seemed to be in close alignment with the company vision. Products that provide new (or improved) useful functions, amusement, entertainment, or promote advancements in health, environment, or medicine are examples of ones considered. 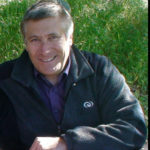 Steve’s background includes more than 30 years in the field of engineering and product development, working with inventors and companies of all sizes, in diverse industries in the US and abroad. Areas have included consumer goods & electronics, medical device, games and puzzles, and electromechanical locks among others. With his separate consulting business, Accelerated Product Design and Engineering (APDE), he provides mechanical design and engineering support to other companies and product development firms in the San Francisco Bay Area. If you are a company looking for assistance in developing your own new products, please visit our APDE website pages to see past projects and feel free to contact us regarding your needs. 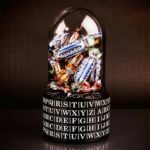 At present 4Thought manufactures two different lines of products – medication safety / storage solutions and puzzles and games. 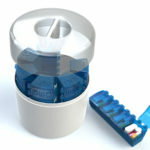 7-Day Med Manager is a high quality desktop pill organizer 7 Day Med Manager is a high quality desktop pill organizer. This weekly pill planner has hinges designed not to crack and fail, large dosage compartments, and a closed canister to help keep pills and vitamins fresh, as well as other features. 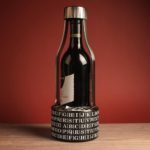 Vino Vault is a unique way for people to gift wine by means of a treasure hunt game and puzzle. Puzzle Pod opens the same gift giving fun and games to all ages and serves a a coin bank as well. Copyright © 2011-2019 Pill Pod. All rights reserved.